The Town requires pet owners to register their dogs and renew their license annually. A dog license with up to date information ensures the Town can contact you if your pet is found. If you own a dog over six months of age, it must be licensed – even indoor pets. The fine for having an unlicensed pet is $50 per dog. Licenses are affordable and can be easily obtained by mail or in person. The fee is $22.00 per dog and $12.00 for a spayed or neutered dog. 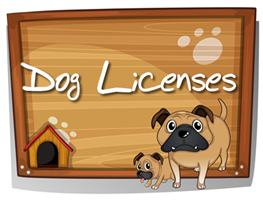 For more information on dog licensing please refer to Animal Control and Licensing.